I RECENTLY PURCHASED A 2001 IMPALA (FORMER) POLICE CRUISER WITH THE 3.8 LITRE ENGINE FOR MY TEENAGER WHO WANTS TO BECOME A POLICE OFFICER. THE CAR IS GREAT IT HAS 41,000 MILES, NO ACCIDENTS, AND BRAND NEW BRAKES, ROTORS, BATTERY, NEW SERPENTINE, TIE RODS AND GOODYEAR EAGLE RSA'S TIRES. ENGINE AND TRANS RUN SMOOTH AND IT DRIVES LIKE A NEW CAR, WELL ALMOST. AFTER DRIVING FOR ABOUT TEN MINUTES THE HEADLIGHTS WILL SHUT OFF. IF I HIT THE HIGHBEAM LEVER THEY COME BACK ON ONLY TO CUT OUT AGAIN A FEW MINUTES LATER. KEEP IN MIND THIS CAR AS A SURVAILENCE MODE SWITH THAT SHUTS OFF THE HORN AND TURNS ON SOME OF THE LIGHTS. IT PROBABLY ORIGINALLY TURNED ON THE RED LIGHTS BUT NOW ONLY TURNS ON THE HEADLIGHTS. A FRIEND WHO IS A MECHANIC SWAPPED OUT THE HEADLIGHT MODULE ON THE LEFT SIDE DASH FUSE BOX WITH THE BATTERRY OVERLOAD MODULE WHICH IS ON THE RIGHT SIDE FUSE BOX JUST TO SEE IF IT WAS THE MODULE. THE LIGHTS CONTINUE TO SHUT OFF AFTER RUNNING FOR TEN MINUTES OR SO. WHEN THE CAR IS STARTED THE DRL'S DON'T OPERATE PROPERLY. 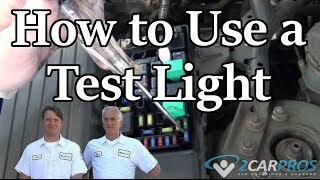 WITHOUT PULLING THE HEADLIGHT SWITCH OUT, ONLY THE HIGH BEAMS SHOULD COME ON DURING THE DAY BUT INSTEAD ALL THE LIGHTS COME ON. WE ALSO NOTICED THE IGNITION SWITCH SEEMS LOOSE OR SLIGHTLY BENT. WE'RE NOT CERTAIN IF IT COULD BE THE SWITCH, THE MODULE OR A MAYBE A RELAY. I WAS ALSO TOLD BY A GM TECHNICIAN THAT HE'S SEEN THIS ON SEVERAL OTHER MODELS AND IT COULD BE A PCM OR BAD GROUND AND THAT A DEALER COULD REPROGRAM THE SYSTEM. WHAT IS THE BEST ROUTE TO GO WITH THIS? IT ALSO APPEARS THAT THE PREVIOUS BATTERY SPARKED ON THE UNDERSIDE OF THE HOOD. COULD THAT BE REALTED? PS WITH 41,000, WHAT ELSE CAN I EXPECT TO BE REPLACING SOON. I have a 2003 Chevy Impala with approximately 40k miles on it. Just last night, while driving home, my headlights cut out. The first time it was a very quick flash, which lasted maybe ten seconds. They came back on for about two minutes and then went right back off again. I had to drive with my hazards on for a source of light. The headlights would go on and off intermintently. I tried switching from high beam to low beam, but it did not make a difference. They eventually came on and stayed on for a solid 2-3 minutes until I arrived home. I immediately called a friend who does mechanical repair on the side. He suggested that it could be the daytime light running module which runs the daytime running lights and both high and low beam lights. Voltage to the headlamps is hot all the time. On and off, high and low beam is controlled by the headlamp ground circuit. Ground for the low beam is through the headlamp relay. Ground for the high beam is through the dimmer switch. When they decommission these cars they will cut out the light controls for the emergency lights and sometimes they dont get it put back correctly. I have seen this a thousand times with P71 Crown Vics. Use a voltage tester, the orange going to headlamp is hot/voltage all the the time. The dark blue wire ground, high/low beam, on/off controled on the ground circuit. Might be problem with dimmer switch? Note the diagram.